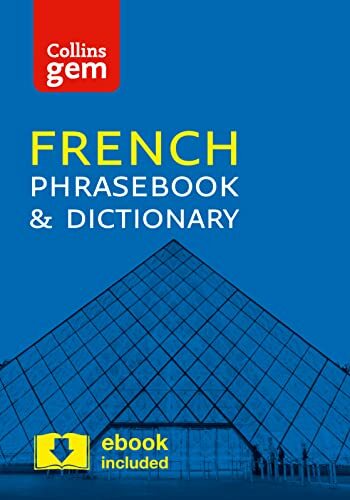 [PDF] French Phrasebook and Dictionary, 4th Edition | Free eBooks Download - EBOOKEE! Description: A reliable, portable and easy-to-use phrasebook is a travel essential, and with Collins Gem phrasebook and dictionary, the right word will always be at your fingertips. This indispensable language guide covers the topics and phrases that crop up everyday when traveling, from finding a hotel to choosing wine. It includes travel information and tips, a 3,000 word dictionary, a comprehensive menu decoder, grammar and pronunciation sections, and "face to face" sections. You will never be at a loss for words when traveling again. No comments for "[PDF] French Phrasebook and Dictionary, 4th Edition".